MDPR Insider: Nailing Down the Basics of "Netiquette"
In an age when nearly all correspondence is online, learning how to address an issue over the Internet with the correct etiquette is essential for communicating effectively. While it may be surprising that email predates the inception of the Internet, the evolution of online communication in recent years has redefined what is and is not appropriate email behavior. Email often appears as an informal way to interact with colleagues, leading professionals to believe that it’s acceptable to cut corners and take a few extra liberties when sending a company-wide memo. But, while correcting an honest slip-of-the-tongue is simple in person, failing to follow professional email practices could potentially sabotage someone’s career. 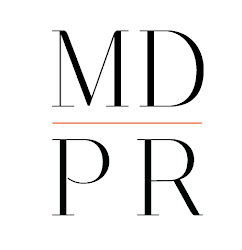 MDPR caught up with Chicago’s etiquette expert Ellen Ericson of Ericson Consulting Group who offered some additional thoughts on the topic. Be concise and make the most of a few powerful words. The subject line is the first element a receiver will see in her inbox, and with hundreds of emails flowing in each day, the subject has to provide enough information to grab her attention and show the email’s importance. Take advantage of these features to maintain the privacy of clients and colleagues but don’t overuse them. It can be a hassle for the person included who isn’t a necessary party to the message. Also, be sure that all the recipients copied on an email will find the message relevant. This should be an obvious one, but refrain from using emoticons and an excess of one exclamation point per email. While they are fun and add personality, they are unprofessional and take away from the meaning of the message. Also, avoid using all caps or lowercase letters because it can look like the sender is shouting or mumbling, respectively. And, save one-liners, such as “Sounds good,” or writing with texting slang, such as “How r u?” and “Nvrmnd,” for the cellphone. There isn’t a right answer for an appropriate amount of time to respond to an email, but aiming for a response time of 24 hours during the week and 48 hours over the weekend is widely accepted among professionals. Take enough time to think about an effective reply, and then send it on its way. There’s no reason to dwell over an email for a couple days. The beauty of email is that it provides an efficient way to communicate, so don’t detract from this by sending long paragraphs of copy that recipients will only skim. Writing with bullet points and a couple paragraphs of two to three sentences is less overwhelming for the reader. This point reiterates why it’s so important to have a strong subject line. Subjects that are written in all caps, all lowercase, or that contain several exclamation points or URLs look like spam and won’t reach the recipient. Avoid this problem by following the tip on writing a strong subject line. A signature should be at the bottom of every email. It should provide the sender’s information, including name, position and company, phone number, email address, website, and even icons to reach social media accounts. It looks bad if the recipient has to look up the sender’s contact information. The auto-responder is another effective tool that shouldn’t be overused. Create a brief message saying “I will be out of the office from August 7 to August 12. If you need to reach someone immediately, please contact so and so. Otherwise, I will respond as soon as I return.” This lets the recipient know that her email wasn’t forgotten and will be responded to eventually. While email is an amazing tool that most businesses wouldn’t be able to live without, don’t forget about the impact of a face-to-face conversation. Especially when dealing with confidential information, personal matters or confrontations, speaking in person is the best way to go. In a professional setting it’s important to be polite, yet still use an informal tone in an email. Being friendly and approachable will help develop a relationship with the person receiving the message, but don’t forget to exercise common courtesies to demonstrate respect. An email is a reflection of the person sending it. Follow these guidelines to ensure that both the sender and recipient maintain positive professional and personal reputations.